We are so excited about our vendors for the Winter Good Makers Market! To learn more about each vendor and see a previewof their products scroll down. Vendors are listed in alphabetical order. Pure Vermont Maple Syrup sold locally. Maple syrup makes people happy! Proceeds from our sales at the market will go towards our friends adoption. At BANDED, we are passionate about fashion but even more so about giving back to make a tangible difference in our world. Since the beginning, our goal has been to stand for more than just the best accessories. Our 1 =3™ give back program changes a life with every single purchase. Every BANDED product purchased provides 3 meals to a child in need through feeding programs located in Uganda, Latin America, and the Caribbean. We make seed-filled greeting cards that bring life back into paper. You can plant them to grow wildflowers or basil! Our greeting cards give buyers the opportunity to give a unique and sustainable gift to someone they care about. Because our cards are plantable, the gift lives on much past the initial moment of receiving it. Bohnd Bracelets are two multi-colored reversible bracelets that interlock to create one single bracelet. The design allows users to wear multiple colors that represent their particular interests, and trade with someone whom they’ve created a bond with. The proceeds from the bracelets are used to host pitch nights, where students with ideas to create bonds within their community can get funding. The BRANDED Collective employs survivors of human trafficking from Nashville-based non-profit End Slavery Tennessee. BRANDED is an economic empowerment jobs program where the women collaborate with local artisans to design and handcraft the jewelry collection. Change Co. is a seasonal subscription box for modern, socially conscious women. At the beginning of each season we send our subscribers a (100% recycled!) box full of lifestyle products that are making the world a better place. In addition, we donate 10% of our profits to a featured nonprofit organization each quarter. 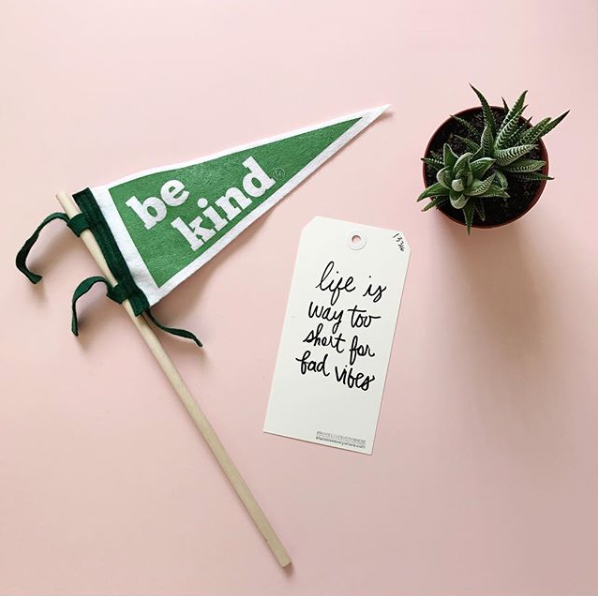 Our goal is to inspire others to shop consciously, find the good in their every day routine, and to shine a light on the causes that need our attention the most. Ed Pack Global is the backpack company that gives back. For every product sold, a portion of the profits goes towards supporting local and global organizations fund education to fight poverty. Buy a backpack that helps build schools! FASHIONABLE provides sustainable jobs for women locally and globally who have overcome rough situations. These situations range from addiction, to prostitution, to lack of opportunity. Freedom’s Promise sells handcrafted items made by at-risk women in Cambodia who have been trained to sew and weave as a preventative measure against human trafficking. 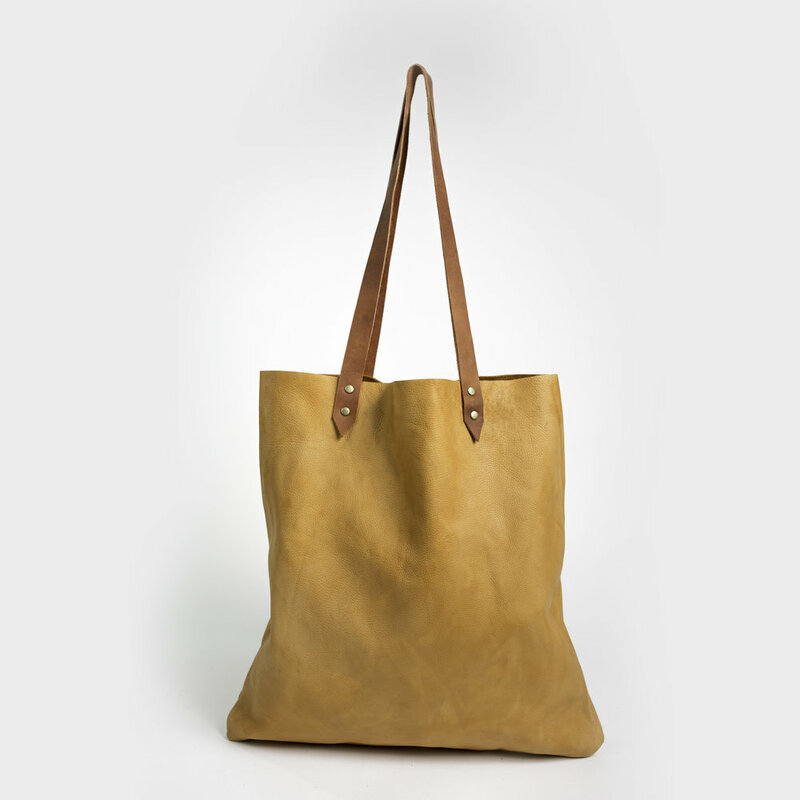 Choose from fair trade items such as exquisite silk scarves, unique eco-friendly bags, and more! All profits are reinvested in Freedom's Promise to further the prevention of human trafficking and child exploitation. 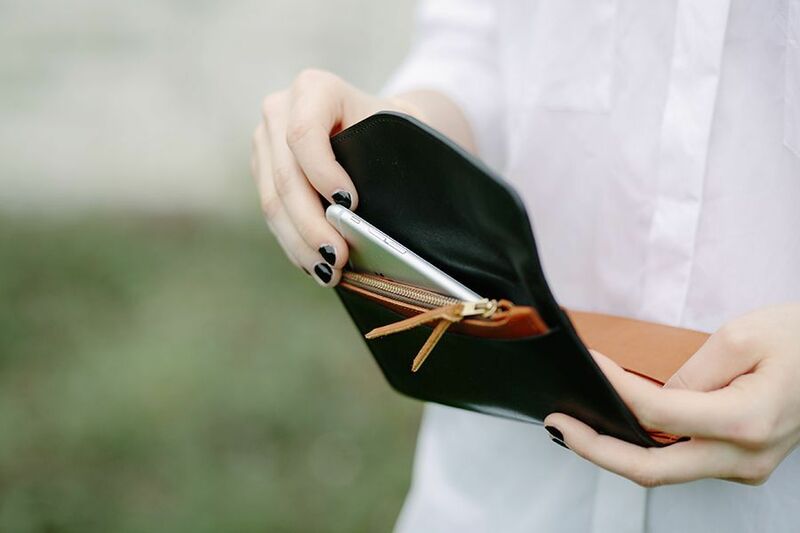 Haiti Made is a premier handmade leather goods store, born out of a deep desire to see the Haitian people empowered by sustainable and dignified employment as a part of a larger effort to promote economic growth and to fight to keep families together. Haiti Made is united around quality products, dignified jobs, and economic sustainability in an effort to diminish abject poverty and fight against the orphan and child slavery crisis in Haiti. HEAL Ministries builds relationships and implements Christ-centered programs addressing the spiritual, emotional and physical well-being of abandoned women and children in Jinja, Uganda. We desire for vulnerable families to become holistically transformed and empowered to stay together while living sustainably within their communities. Humphreys Street, a social enterprise of Harvest Hands Community Development Corporation, exists to employ and empower youth in South Nashville. 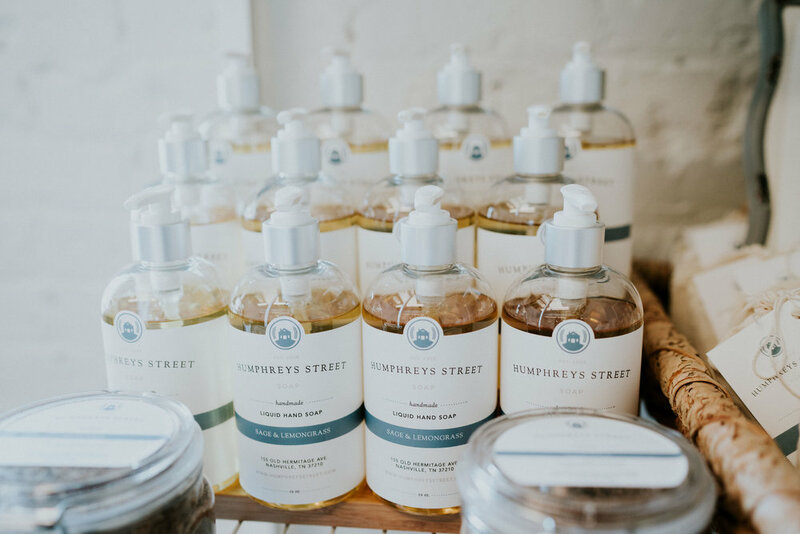 Humphreys Street places in your hands two products that you need every day: coffee and soap. We strive to craft these products in such a way that they give a small pause in your day—a little moment of beauty. We use 100% non-gmo soy, no phthalates and no dyes. We start with a glass jar, add a cotton wick, fill and finish with locally printed labels. We are community development workers by trade and have worked together with Global Outreach Developments since 2006 in both Nashville, TN and El Salvador, Central America. Our passion is to make this world a more just and equitable place for all. Love Everywhere seeks to encourage the hearts of compete strangers through notes of kindness hidden in plain sight. We pick a different charity each month to donate a portion of our proceeds to. Currently going to Harvey and Irma relief. We ignite generational change in the developing world by advancing its raw potential to enrich lives now and forever. Our Social Enterprise Initiative exists to provide opportunity for education through vocational training. We offer 3-year programs in leather work, carpentry, and sewing, where students learn the trade by hand alongside academic education. All products sold in our store are handmade by these students, and 100% of revenue from sales of these goods is invested into the ministry to fund their program as well as the Mission Lazarus Children's Refuge, where 48 children call home. NEWLY makes beautiful home goods from 100% recycled materials. Our products are designed in Nashville, TN and manufactured by artisans as close to home as possible. 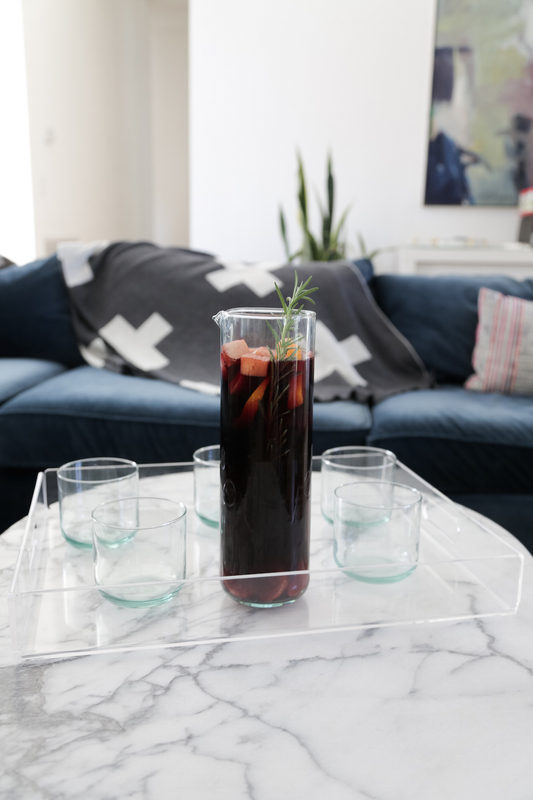 Each of our products has a story (from handmade, mouth-blown drinking glasses; to hand-formed lucite trays) ... not green-washed spin one might find from a larger retailer, but a true story about the way each product was made and the care that went into making it that way...100%. I design outdoor goods for compassionate, adventurous women who want to create a healthy, sustainable lifestyle. Forgiveness and second chances are important to me. I don't believe that our past defines us. That's why a portion of profits supports mental health counseling in Nashville. Additionally, we provide monthly meet ups and yearly camping trips for women to experience outdoor adventure and find community through a private Facebook group. Picket Fence Unique Gifts & Monogramming is a small gift boutique located in Murray, KY that specializes in give-back products. We believe that when you shop with purpose, you are truly making a difference in lives. Shop with us in-store or online at www.picketfencemurray.com. We are also on Facebook, Instagram & Snapchat! Portmanteau is a contemporary collection of jewelry based on simple lines and asymmetry. All pieces are handmade by Blaque Reily in Nashville, TN. The word Portmanteau [ pôrtˈman(t)ō ] means the blending of two things; fusion and layering are core to the Portmanteau concept. Original artwork: paintings, drawings, copper etchings, lino block printmaking works, jewelry, fiber arts. 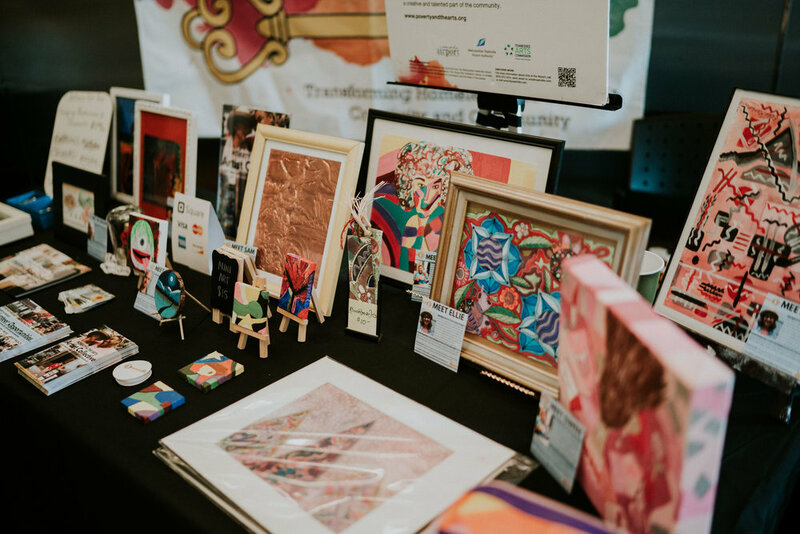 The artists overcoming homelessness in our POVA Artist Collective are pursuing art and entrepreneurship as a means to make supplemental income, gain professional skills, and develop security nets which aids in securing and maintaining housing. The Shine Project employs inner city youth with hopes of them becoming first generation college students. Each piece of jewelry is handmade by our students. At The Shine Project we hope to help everyone realize their potential to shine. Thistle Farms is a Nashville based globally minded social enterprise led by women survivors of trafficking, prostitution, and addiction we offer hope and healing through sanctuary, community, and employment. Every purchase of our handcrafted, natural body and home products directly benefits the women who make them. Thistle Farms employees, volunteers, partners, and customers are united around an enduring mission to welcome the next woman off the streets-rooted in the belief that love is the most powerful force for change in the world.